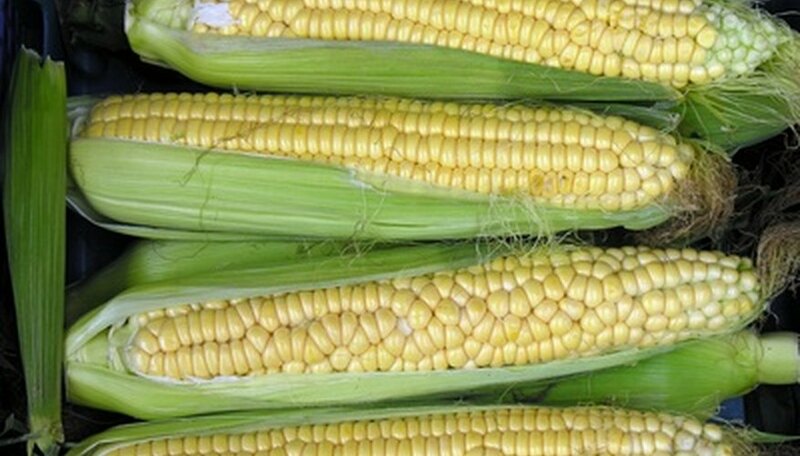 New Jersey is known for growing delicious sweet corn with a distinct flavor from being grown in Jersey soil. Sweet corn gets its name from the doubled amount of sugar (versus standard amounts of corn) that gathers in the endosperm. This gives it a sweet flavor. When growing Jersey corn (although true Jersey corn can only be grown in a New Jersey garden) there are some key tips to keep in mind, such as choosing the ideal planting site and using rich fertilizer. Keep different varieties of the Jersey sweet corn separate when planting (around 900 feet apart), so they don't cross-pollinate. The site must be in full sunshine with a soil temperature around 60 to 63 degrees F. Jersey sweet corn is usually planted in early May. It is ideal to fence your corn field since many animals feed on the corn plant. Jersey sweet corn thrives in loamy clay soil, with a pH level around 6.0. Do a pH test on your soil to determine what nutrients it needs (obtained at your local gardening nursery). For pH lower than 6.0, add limestone. For higher levels, add fertilizer. Plant corn seeds in dry soil so the seeds don't rot. After germination, the soil should be kept regularly moist. Jersey sweet corn needs very rich fertilized soil. This is done traditionally by burying fish heads with the seeds to up the nitrogen levels in the soil and encourages strong growth. Rotted manure and/or compost is also good soil supplements for Jersey sweet corn, applied in the spring and fall.